Black Friday is the day after Thanksgiving and widely considered the beginning of the holiday shopping season. The term Black Friday gained popularity in the early 2000s through its use on websites for online sales intended to compete with sales at physical stores. As the term spread across the country through the internet, traditional retailers officially adopted the term as well. What Does Black Friday Mean? In the U.S., Thanksgiving Day is the fourth Thursday of November. The next day, Black Friday, is the most popular shopping holiday of the year, with many retailers reserving their deepest discounts and best sales of the year for that specific day. Beginning in 2013 and 2014, more and more retailers began moving back the start time of their Black Friday deals from the early morning hours of Friday morning to the evening of Thanksgiving Day as a way to lengthen the most notable shopping day of the year. Some retailers have gone a step further, kicking off Black Friday sales as early as the Monday before Thanksgiving Day. Use of the name Black Friday to refer to the day after Thanksgiving reportedly began in Philadelphia in the 1950s. At the time, police officers in the city used the term internally in reference to the large crowds of pedestrians and vehicles that congested Philadelphia’s shopping district annually on that day. The throngs of people and cars resulted in accidents and often violence that required every officer to be on duty to keep order and manage the chaos. The first published use of the term Black Friday was in a 1966 advertisement by a rare stamp dealer named Earl Apfelbaum located in Philadelphia. However, the term remained mostly regional until the early 2000s, with some increased use in the 1980s in other regions. Black Monday, Oct. 19, 1987: Largest one-day drop in stock market history, when the Dow Jones index dropped 22 percent. Black Thursday, Oct. 24, 1929: Stock market crash that is historically considered the start of the Great Depression. Black Friday, Sept. 24, 1869: The original Black Friday was the crash of the U.S. gold market. At the time, gold was one of the primary trade markets, with investors from all income levels — most of whom were bankrupted as a result. In an effort to shift away from the negative association with black days of the week, retailers created a new story for Black Friday. In accounting, business losses have traditionally been recorded in red ink and profits or gains in black ink. Many retailers would find themselves "in the red” by fall but would be boosted back “into the black” by the holiday shopping season. 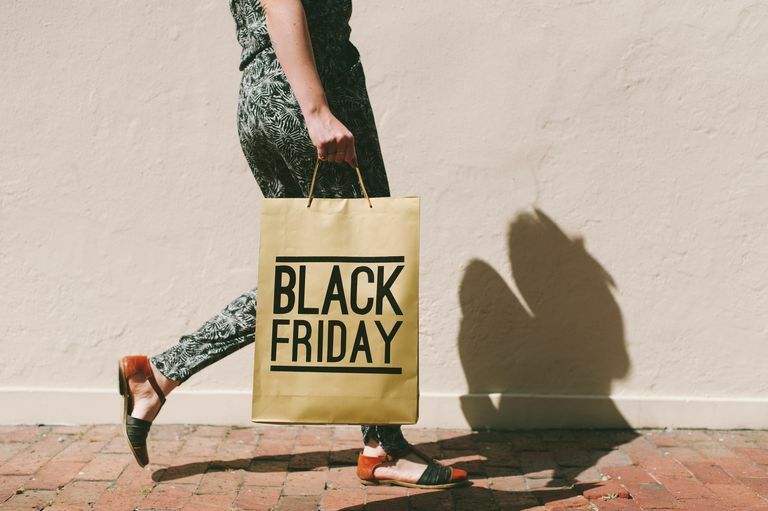 To create a more positive association with Black Friday, retailers used this example as the meaning behind why Black Friday is called "Black Friday." Eventually, this meaning stuck and is more well-known among shoppers than the 1950s origin of the term. The most popular Black Friday deals often center around consumer electronics, such as TVs, computers, ​tablets, and game systems. While some shoppers are willing to wait in line for hours for a chance at a great deal, many more shoppers are opting to avoid the crowds and shop online instead. In response, retailers now offer online shoppers many of their Black Friday deals that kick off at the same time as the in-store sales. In addition, stores that offer limited-quantity door-buster deals may also offer a different door-buster deal exclusively for online shoppers. Desire to avoid long lines and stampeding crowds also paved the way for Cyber Monday. Cyber Monday is the Monday directly following Black Friday and is dedicated to online shoppers, with special deals available as often as every hour on some shopping sites. The most recent addition to the holiday shopping season set of special deal days is Green Monday. Green Monday is the second Monday in December and aims to capture shoppers both in stores and online who still have gifts on their list to buy.